Soon to be published is a book of the “Eden” diet, in which the authors, Dr. Laza and his daughter, Dr. Manuela Laza, illustrate the “0 cholesterol” diet. With a rich repertoire of strictly vegetarian recipes, it includes menus suggested for various groups of diseases. 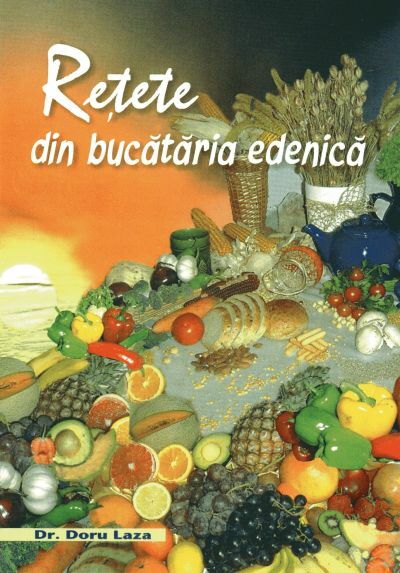 This book was previously published in 2005 under the title ‘Receipts from Edenic Cuisine”, but has been updated and enlarged.